The Phenol-Explorer database, release 1.0, on polyphenol contents in foods, was developed at INRA, Unité de Nutrition Humaine (Centre de Recherche de Clermont-Ferrand, France) in collaboration with CIQUAL-AFSSA (Maisons-Alfort, France), the Wishart Research Group at the University of Alberta (Edmonton, Canada) and In Siliflo, Inc. (Edmonton, Canada). The development of Phenol-Explorer 1.0 was supported by INRA, the NUTRIALIS program of the French Ministry of Research (2002-2004) and by Unilever, Danone and Nestlé (2005-2009). Phenol-Explorer 1.0 was released in August 2009. The Phenol-Explorer database, release 2.0, on polyphenol metabolism in humans and experimental animals, was developed at INRA, Unité de Nutrition Humaine, in collaboration with the University of Barcelona, Group of Biomarkers and Nutritional & Food Metabolomics. The development of Phenol-Explorer 2.0 was supported by INRA, Danone and the University of Barcelona. Phenol-Explorer 2.0 was released in September 2011. The Phenol-Explorer database, release 3.0, on polyphenol retention factors, was developed at INRA, Unité de Nutrition Humaine and IARC, Biomarkers Group. The development of Phenol-Explorer 3.0 was supported by INRA, the University of Barcelona, Danone and INCA (Institut National du Cancer). Phenol-Explorer 3.0 was released in June 2013. The Phenol-Explorer database, release 3.6, includes 1451 content values for lignans in foods. Credits: Raul Zamora-Ros, Cecilie Kyro and Joseph Rothwell compiled and entered data on lignans from scientific literature. Phenol-Explorer 3.6 was released in June 2015. 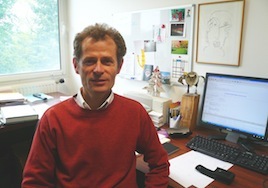 Augustin Scalbert (INRA) coordinated the project. Laure Du Chaffaut (CIQUAL-AFSSA) and the partners of the NUTRIALIS project ‘Constitution d'une base de données et d’une table de composition alimentaire nationale sur les polyphénols’ developed the initial structure of the Microsoft Access database for compilation of food composition data and provided her expertise on food composition tables. Vanessa Neveu, Femke Vos, Jara Perez-Jimenez and Vanessa Crespy (INRA) compiled and evaluated over 60,000 original data on the polyphenol contents of foods from the scientific literature. Vanessa Neveu, Femke Vos and Jara Perez-Jimenez wrote the reports on the variability of polyphenol content in the different categories of foods. 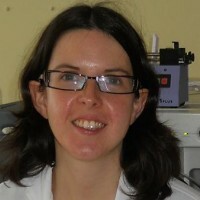 Vanessa Neveu developed the methods for data aggregation to produce the mean content values for polyphenol contents and defined the specifications for the web interface (Phenol-Explorer 1.0). 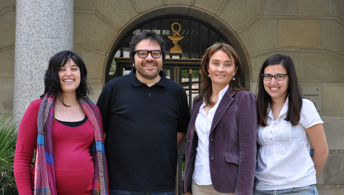 Cristina Andres-Lacueva and Mireia Urpi-Sarda supervised the work of compilation of metabolism data at the University of Barcelona. Joseph Rothwell (INRA) and Mireia Urpi-Sarda (University of Barcelona) developed the structure of the Microsoft Access database for curation of the data on polyphenol metabolism. Mireia Urpi-Sarda and Maria Boto-Ordoñez (University of Barcelona) compiled and evaluated over 10,000 original data on polyphenol metabolism from the scientific literature. Rafael Llorach and Cristina Andres-Lacueva (University of Barcelona) provided their expertise on polyphenol metabolism and the analysis of polyphenol metabolites in biological samples. 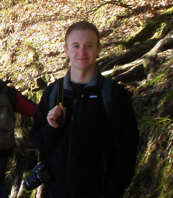 Joseph Rothwell defined the specifications for the web interface (Phenol-Explorer 2.0). 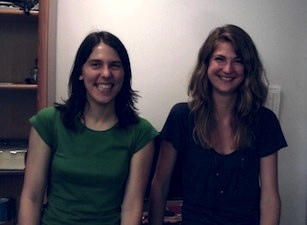 Vanessa Neveu and Jara Perez-Jimenez developed the structure of the Microsoft Access database for compilation of the retention factor data. Alexander Medina-Remon, Nouha M'Hiri and Paula García Lobato compiled and evaluated the data on retention factors from the scientific literature. Joseph Rothwell aggregated and analyzed the data on retention factors. Vanessa Neveu defined the specifications for the web interface and contributed to its re-design taking into account the connections between the 3 modules composition, metabolism, and retention factors (Phenol-Explorer 3.0). 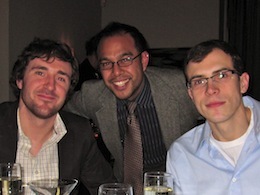 Craig Knox, Roman Eisner and Joseph Cruz (University of Alberta) and In Siliflo, Inc. (Edmonton, Canada) developed the web interface of Phenol-Explorer, releases 1.0 and 2.0 and 3.0. The authors are grateful to Louise Mennen (UMR INSERM unit 557/INRA unit 1125/CNAM, Centre de Recherche en Nutrition Humaine, Paris, France) who first expressed the idea to develop such a database for epidemiological studies. She coordinated the NUTRIALIS project ‘Constitution d'une base de données et d’une table de composition alimentaire nationale sur les polyphénols’ from 2002 to 2004. The authors are also grateful to the European Network of Excellence EuroFIR and to Jayne Ireland (CIQUAL-AFSSA) for training the compilers and for helpful discussion and suggestions.